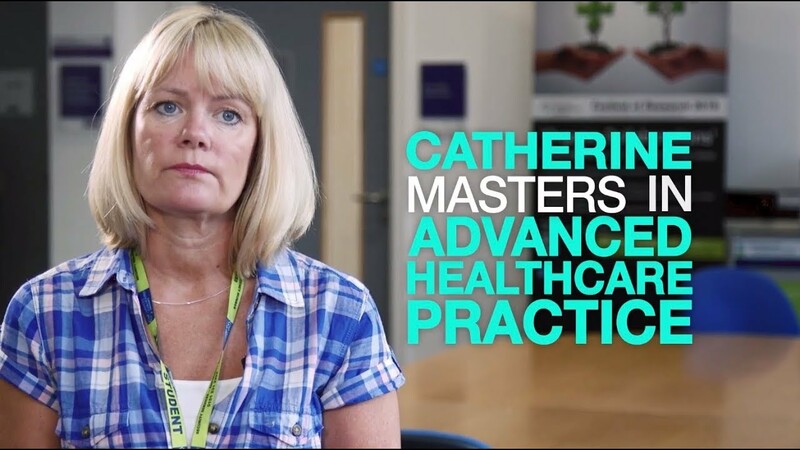 Combining academic and practical content, LJMU's Advanced Healthcare Practice MSc is ideal for those working towards or already in an advanced practice role. Developed in response to the current Advanced Health Care Practice agenda, this well-established Advanced Healthcare programme enables you to specialise in your area of expertise. The programme is tailored to meet the development needs of healthcare professionals, creating the kind of highly-skilled practitioners required by a modern, dependable, world-class NHS. This multi-professional, flexible and innovative programme is taught by current and former nurse clinicians who offer students invaluable practical insight as well as advanced theoretical knowledge. The curriculum also benefits from the input of three professors with specialist knowledge of Accident and Emergency, bowel cancer and anaesthetics. To keep abreast of health care requirements, tutors regularly network with key stakeholders to identify specific educational needs in the workforce and develop additional, appropriate modules for the framework. This Advanced Healthcare Practice programme is applicable to many different healthcare professionals, with most students going on to enjoy successful careers in advanced practice roles. Nurses, paramedics, occupational therapists, pharmacists, physiotherapists, radiographers and more study on the course. On graduation, you will be equipped to work as: a Consultant in community, secondary care and private sector settings e.g. Nurse/Paramedic Consultants or an Advanced Practitioner in specified health disciplines. Aimed at those working as registered professionals in a relevant area of practice, this module will build your skills in advanced practice decision making. It will also raise your appreciation of the ethical and legal responsibilities involved in advanced practice decision making. This module, aimed at registered professionals, is relevant to all specialist clinical pathways including mental health. This semester-long module enhances effective leadership and team working. Action learning is used to draw on your knowledge and skills, further developing leadership potential within your working context. This module is designed for experienced healthcare practitioners who are currently involved in developing their skills in clinical examination. This is an innovative module using formative assessments and the scenario-based approach. This approach lends itself to experienced healthcare professionals and assists in preparing you for your final examination. This module consists of two assessment components: a 4,000 word assignment accounting for 80% of the marks and a 15 minute presentation accounting for 20% of the marks. This module has three assessment components: Assignment - Graded Professional Portfolio - Pass/Fail and Clinical Assessment Form - Pass/Fail. This programme has a practice assessment document that has a pass/fail element that will be part of the assessment component. This module focuses on putting your theoretical learning into practical use. Aimed at practitioners, this module helps those working in a variety of settings to develop approaches to support and assess learning in practice, applying best evidence to promote the development of self and others in practice. It enables you to explore how to facilitate lifelong learning in others by developing their mentoring, teaching and assessing skills. The aim of this module is to develop your understanding of dementia. It helps you to think creatively, identify innovations in care delivery, how these can be adapted and applied to the service planning and delivery within your own organisation. The aim of this module is to enhance knowledge of palliative care practice, promoting high quality care for all those approaching the end of their lives, whatever their condition and whatever their setting. The aim of this module is to enhance the management and implementation of safeguarding policies within a range of care settings and client groups. The aim of this module is to analyse the role of evaluation in service delivery within health and social care settings to develop organisation wide changes which are coherent and internally consistent. This module will help you to critically reflect and evaluate and develop your teaching and assessing roles within the practice arena. This module is aimed at those appointed into a specialist screening post within a NHS Bowel Screening Centre. All students on the module will spend six hours on an appropriate placement, allowing the theory learnt to be discussed, and maybe even tried and tested. The placement is negotiated with the module leader during the opening weeks of the module. This module aims to broaden your understanding and application of the use of narrative approaches in healthcare. It provides the knowledge underpinning the use and benefits of a narrative approach to healthcare in both acute and continuing care settings. This part-time course has a strong emphasis on self-guided study. A 10 credit module, for example, involves two hours of timetabled study per week for 15 weeks, backed up by significant independent study focussed on virtual learning resources. Advanced Healthcare Practice offers a blended learning approach with staff always looking for new and engaging ways to develop competencies around healthcare roles. You will learn via key note lectures, case scenarios, workshops, discussions and clinical skills lab simulations. One innovative aspect of the programme is the integration of service users as part of clinical examination modules. Patient models have proved invaluable in terms of student feedback and improving the realism of scenarios. LJMU's virtual learning environment further enhances the learning experience and the use of wikis and group blog videos have received very positive feedback. All course lectures and materials are available online. To maintain our professional relevance and enable you to forge key contacts for the future, we work with local, national and international stakeholders. Our health and social care contacts include Merseycare NHS Trust, St Helens and Knowsley Hospitals NHS Trust, Royal Liverpool and Broadgreen University Hospitals NHS Trust and the North West Ambulance Service. Our education contacts include City of Liverpool College; Alexian Research Centre, Germany; Eindhoven University of Technology, Netherlands; University College Thomas More, Belgium and KPY University, Malaysia. We also work with charities and community and voluntary groups. Assessment methods on this programme include: Objective Structured Clinical Examinations (OSCEs), vivas, written exams, portfolios, reports, reflective pieces, assignments and practical work. Part of the City Campus, the School of Nursing and Allied Health works with a wide range of health and social care organisations to design, deliver and evaluate a dynamic suite of postgraduate programmes. In addition to specialist facilities, you will find high quality meeting and seminar rooms and lecture theatres, the Avril Robarts Library which is open 24/7 during semesters plus a large café, IT facilities and social spaces. LJMU's excellent educational and professional training facilities include £1.6 million practice suites which show a patient's journey from the home environment through to rehabilitation. We use the latest clinical equipment for simulations and developing clinical skills and have purpose-built, soundproof booths with video camera and playback facilities. Please contact the Faculty of Education, Health and Community to arrange a meeting/discussion with a Programme Manager about course content and route pathways. You can email health@ljmu.ac.uk or call 0151 231 5829 for more details.